SitePoint recently published an article on a similar theme, minus the “in Windows” part, written by Shaumik Daityari. He uses Ubuntu as his development machine, so I thought it would be nice to review a similar setup from the Windows side of things. These are some of the programs I install, but there are many more non-dev-related programs to fetch as well. If you haven’t used Ninite to setup a new machine, you’re missing out, it makes the process so much easier! As mentioned, I install all browsers so I can test locally on each one. There are web services that will show you how your project renders in different environments and on older browsers, if need be. You might want to check out BrowserShots or Browserling for multi-browser rendering. They both have free tests you can run. FileZilla is for my FTP needs, Notepad++ is my general text editor to replace Notepad in Windows (I also use a plugin to edit Hex files. WinSCP is a tool for working in the filesystem of my Linux servers over SFTP with a visual drag-n-drop interface, and PuTTY is my remote console SSH tool. I use 7-Zip for compressed files, Greenshot for taking screenshots and annotating them, and Dropbox is where I keep a lot of files of individual clients with invoices, spec sheets, server and hosting information, to-do lists, training material, and a lot of other data. I also use Dropbox to share screenshots and files. I’ll also mention Evernote as a brilliant note-taking application. Special mention are the following handy tools: ColorMania, jRuler, and of course Firebug for Firefox. Readers here will be familiar with Sublime and NetBeans. I use Sublime mostly for getting projects started, working smaller projects, or doing quick edits. NetBeans is for much larger in-house projects when I need all those extra features and references. I use Sublime’s “save_on_focus_lost” setting for all my editing; all I do is make my changes, then click over to the browser and refresh, Sublime saves automatically when losing focus. It also saves you from having to run a “Save-all” command if you have many tabs open, as it will save each tab when you click to another. Just add "save_on_focus_lost": true" to your user settings file. Notepad++, already mentioned, can also be tossed in as an editor, as I use it quite often when I want to open files outside the IDE environment. There are many other tools for editing and seeing “live” changes as they happen without having to save, for example you might try JetBrains PhpStorm, or the very clever Brackets editor. PhpStorm will cost you, but it is a very nice editor. I personally didn’t find Brackets very robust when I tested it some time ago, though it has probably improved a lot since then, and it is free and looks a lot like Sublime. Regardless of which editor you choose, it should be comfortable for you, and do what you need. Within Sublime, I install Package Control straight away. Next I search for some packages: I’ve installed Emmet, Phpcs, and Xdebug Client for example. The plugins I use will come and go; I like testing different code sniffers, coding standards helpers, language references and so on. I was working with the ProcessWire CMS recently and a quick search in Package Control found a plugin for adding ProcessWire snippets. You never know what you might find in there! DevDocs is not an editor, but a language reference tool I’ve been using for a while. It lets you select which languages you are interested in, and the fuzzy search tool will find whatever function you’re looking for as you type it. Check out Bruno’s article on DevDocs if you want an overview of its features. With all of that out of the way, it’s time to get a server running! This is where everybody is going to differ in how they work — my way is just one and some may argue it’s not even a good one! For the number and size of projects I work on, this method works great for me, but I do realize that in a larger environment with larger projects or when working on teams, etc, this may not be the best setup. I use WAMP directly on my machine. 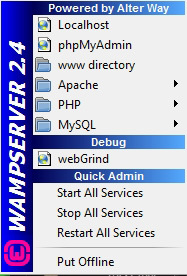 WAMP is, of course, the Windows Apache MySQL PHP server application. It installs quickly, requires very little configuration, and can be ready to serve your projects in no time. I have also used a dedicated server in my office, a virtual machine (both locally and on other hardware), and cloud servers from InMotionHosting, DigitalOcean, HostGator, and others. If I work on a remote server, that is where I will use PuTTY, WinSCP and FileZilla. If I work on local hardware, I may use Remote Utilities, Terminals, or some other remote tools. If I use a Virtual Machine, it may be VirtualBox, or VMware vSphere. All of those alternate server configurations are, in my opinion, a little to a lot more complex to use, unless you set them on frequently. I don’t even have the space to begin talking about Vagrant or PuPHPet, which set out to make setting up virtual servers much faster and easier. Search SitePoint for “Vagrant”, “PuPHPet”, “Puppet”, “VirtualBox” and so on for more information about automation of virtual development servers. If you need to match the specs of the live server exactly, you may be better off running a virtual machine and setting up the exact specs that way. This is where Vagrant would shine. DigitalOcean also has some options when setting up a “Droplet” as to what OS to run and so forth. Whatever the need, there is a solution! I use WAMP for all my initial development, testing frameworks and CMSes, writing small apps to help myself with projects, etc. It is quite powerful in letting you run different versions of PHP, MySQL, and Apache side-by-side, depending on your needs. One example where WAMP was quite helpful was in recovering MySQL data from an old backup of WAMP from years past. The data was in an older version of MySQL and couldn’t be opened, so I simply installed an old version of MySQL right in WAMP, accessed the data, exported it, switched versions back to the new one, and imported. 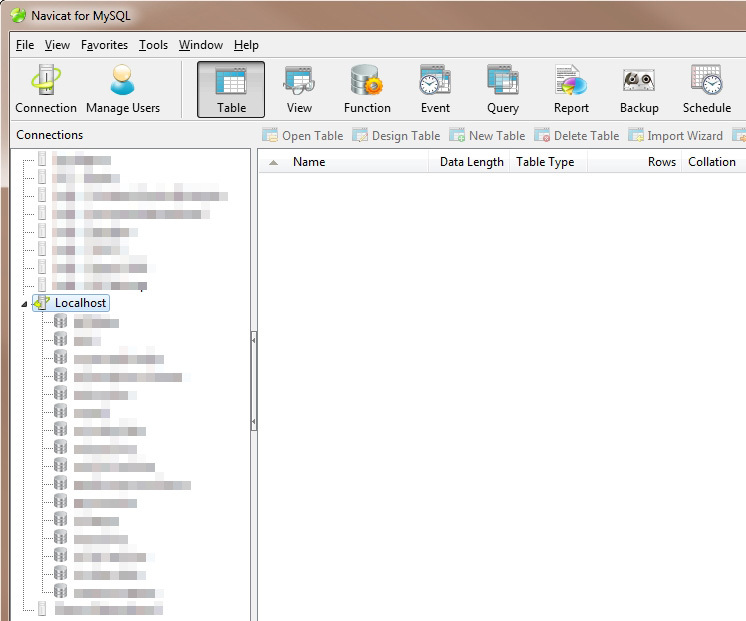 I install Navicat for MySQL, my preferred database management tool. It is not free, but it’s not that expensive either if you use it professionally. You can manage remote databases, import and export many formats, merge databases, copy structures around, read server variables and status, repair DBs, sync data, automate backups, build reports and queries, the list goes on. Something like PHPMyAdmin can probably get you 80% of the way there, but Navicat will enable some pretty cool stuff if you use it. I actually have it connected to every MySQL database I work on, on all our servers. It has been especially handy for me to use for importing CSV data. 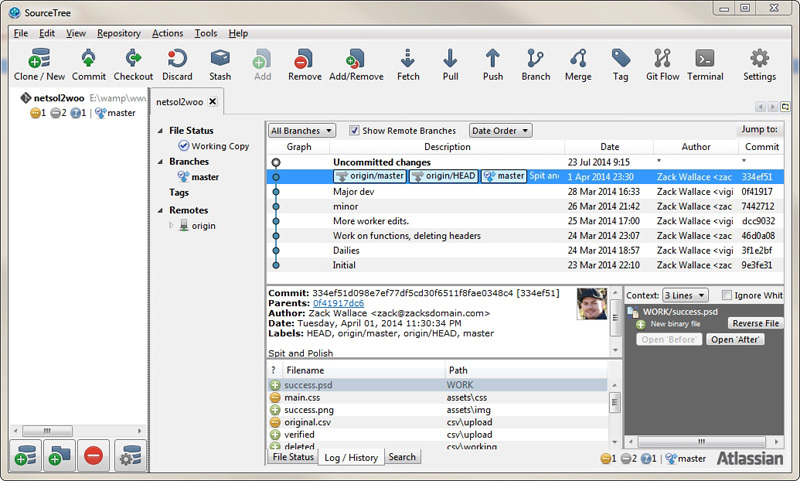 An alternate free MySQL manager I’ve used would be MySQL Workbench and HeidiSQL which also connects to multiple servers. If you develop this way, you will most likely run each project in a subdirectory of localhost. That is, “/localhost/projectA/” and “/localhost/projectB” for example. This is fine, but if you need to copy your project to a real web server, be aware to never use hard links to localhost! Always try to use relative links, and if you must use hard links, be aware of what will be needed to move your project to another domain (config edit, database update, etc). On a live server the project will likely run on the web root folder, whereas in WAMP it will likely be a subfolder of localhost. This will throw off links like “/images/” where the slash would normally take you to the root folder. On WAMP you still have to go to your project folder, such as “/projectA/images/”. You don’t want to hardcode your project folder either, so use a PHP variable to create links, or set the base directory in htaccess or PHP or whatever you use. This is especially important for CMSes like WordPress where some links have to be changed before the move, or other systems where you might even have to edit the configuration in the database itself after moving the site. If you want people outside your network to access your server, like I do, then you might set up a domain or subdomain to point to your IP address, such as “dev.example.com”. You have to open ports on your router and configure the firewall for this to work. This is the main drawback of “local” development. If you want “outside access” to view the websites, you’ll have to open up your machine to the world and work out some kind of user access security. If you need to show a client your work, they need a way to view your server, so you might use htaccess passwords, or use a random port to direct port 80 traffic, or use an IP whitelist, or some other security measure. If you are open to the world, you will also have to find ways to prevent bots from scanning your projects and making the URLs public! Because we are using Apache, htaccess is your friend. Learn how to set up passworded folders, IP whitelists, and use robots files. Inside WAMP, you’ll configure the port to listen on, and make sure you set your server to be “online”. It is beyond the scope of this article to delve in to all of this configuring and security, but just be aware of it. On a related note, you might want to check out Patrick Catanzariti’s recent article on accessing localhost from anywhere, which might help in this area. With my development machine set up in this way, I can create databases and manage them easily with Navicat, create new folders and work on projects instantly with Sublime. If I need source control for a project through GIT, which I do sometimes, I have SourceTree for this. It is a visual tool, which some of you purists may despise in favor of the command line, but I find it easy to use when needed. I have a Bitbucket account for these projects to live in. I hope you found this useful and maybe found a tool or two to add to your own development setup. Again, this works for me because I develop mostly internal company projects and tools, so I don’t require a team, or multiple locations to develop in, or even source control for most projects. Outside access is limited. I would recommend my setup for anyone just getting started in development and learning to code, as most of the tools are free, no command line knowledge is needed, and it’s easy to change settings and configurations. Let me know your favorite Windows development tools in the comments. I am always open for trying new tools!